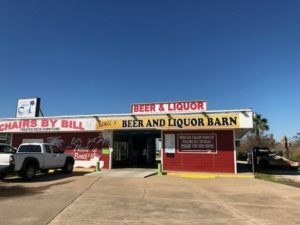 APRIL BUSINESS OF THE MONTH! Pictured left to right: Luke, Jay McCurdy, Dana Dekerlegand, Michael Lange, Jim Walters, Sharon McCurdy – Treasurer, & Brenda Flanagan – President. Jack Davis, & Brenda Flanagan – President. 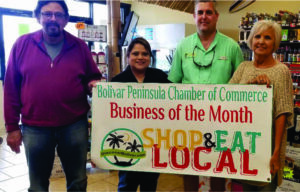 FEBRUARY BUSINESS OF THE MONTH! 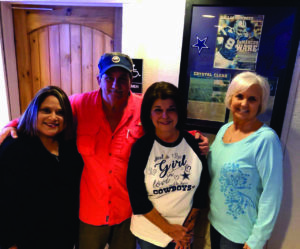 Brenda Flanagan – President & Sharon Magana-McCurdy – Treasurer welcomed Chris & Karen Gatlin as February Spotlight Business Member during the Super Bowl! 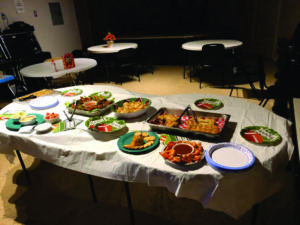 Tiki Bar had free food, door prizes & bar specials! Thank you for all you do Chris & Karen! JANUARY BUSINESS OF THE MONTH! 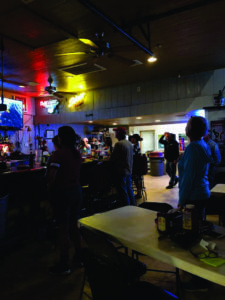 Members of the Chamber were out and about Saturday, January 12, 2019 visiting Businesses and Spotlighting Nauti’s Beer & Liquor Barn! 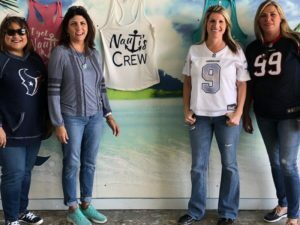 Pictured below are Sharon Magana-McCurdy with Texas Custom Carts & a Board Member, Cathy Hammond with Gary Hammond Real Estate, Christy Duhon with Crystal Beach Club Properties and Mona Palmer with Nauti’s Beer & Liquor Barn. Be Watching for us to visit more Businesses!